Donation is used to pay server cost and development, by donating you help us to keep the server online! Donator status grants you a little bonus and privilege in-game, but does not grant you any immunity in any way. However, you get that warm feeling inside and a special thank from us for your help. As of 23rd April 2019, in order to make donation easier and safer, we have improved the donation method! Make a new subscription by selecting "GamerX Donor Status / GamerX Donator Status"
For PayPal you will be redirected to PayPal secure website and you will be asked to login with your PayPal account if you have one, Or pay with a supported Debit/Credit card. It is recommended to use your PayPal account to make payment easier for another donation later time as well keeping the payment information. Ask an active Management (Admin Level 9+) member to get your donator status In-game, Discord, and the blue forum donator name color... We ask you to be patient in this process as we may not be available 24/7. You can tell us when we are online in game or IRC. If you have problem or errors received from PayPal, do not panic! Follow their instruction, or just try again later... Sometimes you need to re-login your forum / paypal account. Always check first if you were already charged in your PayPal account. If your payment is failed to be processed by our website, please let us know by posting a reply or message here. Some payment options may not be available in your country/region, and some payment options require you for mandatory taxes and cuts this is due to PayPal's policy or based on applicable Law on your country. You may cancel your subscription anytime from your user settings page. Check out this status page for current players with donator status. Refund is not possible at this time, if you urgently need a refund, please personally contact Stefan. By sending funds to GamerX Server, you agree to NOT violate and agree to follow our terms and policy also the payment provider (PayPal) policy. We may revoke or decline your donation and statuses if we decide so. Subject to change without notice. Visit the help (FAQ) section for more information! If you wish to donate & gift the status for someone else, you need to use the old form which you can find on this page! $5+ for donator status in game. 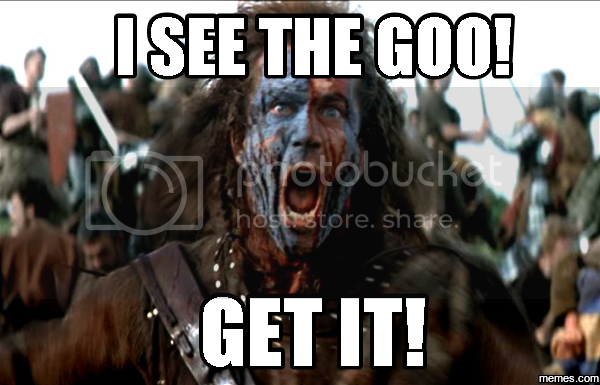 ​​​​After donating ask a level 9 in game for the status. Just one thing to add, you need to use /v <ID> because /v <NAME> actually doesn't work for those happy hour vehicles, for example /v 425 for Hunter, becuase /v hunter doesn't work. 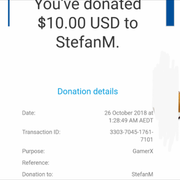 Just donated €10,- My ingame name is in the details box on the donation page of Paypal. Did send this issue to Rick on Discord. He might be able to fix the problem, might has to do something when it checks: if, donator ( for example ). I have donated 5.01$, still no donor status.... 30 hours now.. It's not automatic, you have to ask a level 9+ for the status with a verification of your donation. He asked but no manager is active. Stefan needs to make a new manager if none of the current ones are active. Got my status on forums. But stil waiting for in-game status. All times are GMT+1. This page was generated at 05:09 PM.